Think Egg Salad needs to be boring? Think again! 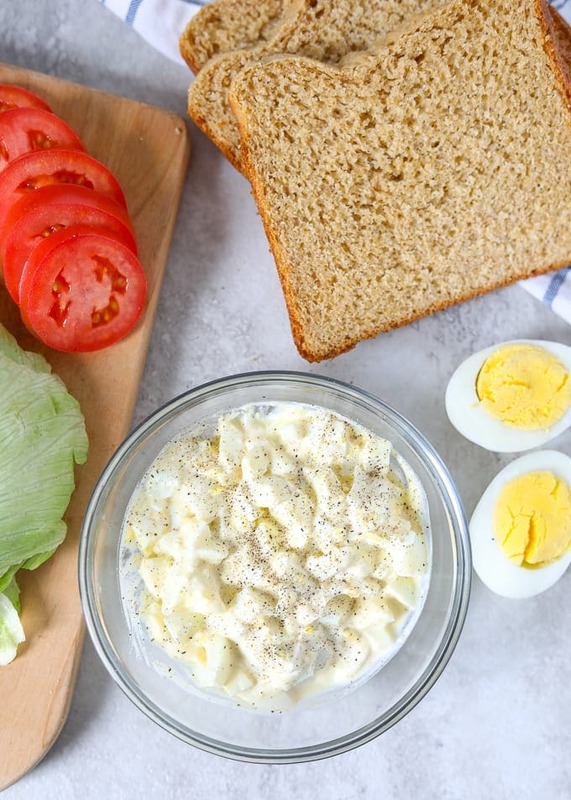 This Egg Salad is lightened up with Greek yogurt and kicked up a few notches with the addition of horseradish and mustard! 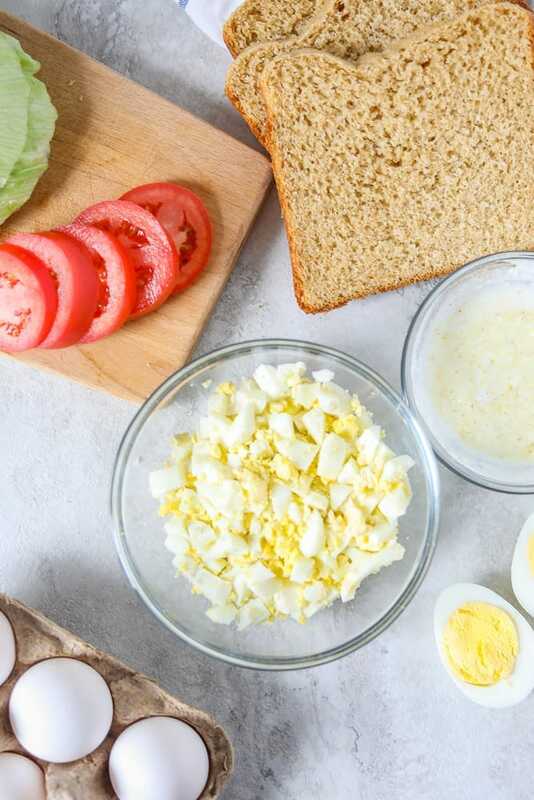 Start with Instant Pot Hard Boiled Eggs and Instant Pot Yogurt for a perfect egg salad and serve up on Homemade Whole Wheat Bread for an out of this world Egg Salad Sandwich. 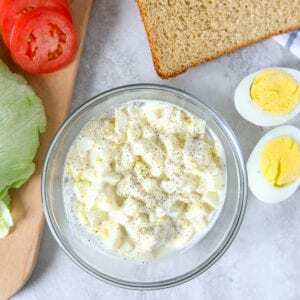 Whether you are looking for a high protein, easy, low cost lunch, or a way to use up all those extra Easter eggs–egg salad is a FABULOUS option. But not just any Egg Salad, you want one with flavor, complexity, that is still super easy to put together. Growing up, Egg Salad was NOT my favorite recipe. But I have learned how to perfectly season egg salad to make it truly spectacular. And now egg salad is something I actually crave. This egg salad recipe is all about the zip from the horseradish and Dijon mustard, which turns egg salad into something memorable. Plus it helps to cut through the richness of the eggs. I also choose to use Greek yogurt in my egg salad in place of mayonnaise to lighten it up and add some protein. Of course, feel free to use mayo if you desire. I always you my Instant Pot Hard Boiled Eggs–because they are PERFECT every single time! If you don’t have an Instant Pot, you can cook your eggs on the stove. Place room temperature eggs in a single layer in a large stock pan. Add cold water to just cover the eggs. Bring to a boil. Once at a rapid boil, cover pan and remove from heat. Set timer for 12 minutes. Drain and chill eggs. Peel and chop your hard-boiled eggs. Tip: Use mini chopper to easily chop your eggs into tiny pieces. Mix Greek yogurt with horseradish,Dijon, garlic powder, onion powder, salt, and pepper. Chill for at least 2 hours for maximum flavor. Serve your egg salad on bread, a wrap, or over lettuce. This Egg Salad is lightened up with Greek yogurt and kicked up a few notches with the addition of horseradish and mustard! Peel hard boiled eggs. Chop eggs into small chunks. Mix together yogurt, horseradish, mustard, garlic powder, onion powder and salt and pepper together. Add in eggs and stir to combine. Refrigerate for 30 minutes prior to serving for best flavor. Egg Salad will keep in the refrigerator for 3-5 days. I love that you added horseradish! I want this egg salad sandwich for lunch. This sounds delicious! I love trying new recipes for egg salad, love the addition of horseradish, I will have to give this a try. Thanks Joy. The horseradish adds so much! This is a great mix for egg salad and a wonderful way to use up the leftover Easter eggs. Thanks! I also hated all the mayo!!! Greek yogurt is a life saver for people like us. I love the roasted tomatoes and horseradish here. Definitely something I need to try. Greek yogurt is the best!! I hope you do try it! I’m a fan of egg salad–especially warm egg salad made from freshly hardboiled eggs. I don’t know what it is about it, but I vastly prefer that to a cold egg salad sandwich. And once you’ve found a way to love egg salad, then nothing else will do when you’ve got a hankering! This looks delicious–I like the inclusions of horseradish and the tomatoes. I’ve got frozen–and amazingly flavorful–slow roasted tomatoes I put up each fall. Must try in this. I have never thought of horseradish in egg salad. That’s a great idea!! I’m definitely putting this #onthemenu! Pinned! this sandwich looks amazing! Gonna put those left over Easter eggs to good use, now I just have to wait till tomorrow to dig in! Thanks so much! Let me know how you like it Amber. We will be making it again tomorrow. I love egg salad anyway, but love the use of greek yogurt in this, it sounds delicious! You will certainly love this version Michelle! Greek yogurt is great idea as a mayo replacement. And egg salad is like a blank slate, you can add a lot of flavor to it, like horseradish. Exactly! It is great for adding flavor to. Looks like a sandwich from a five star restaurant! 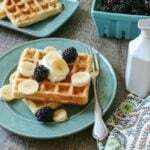 Greek yogurt – genius! Happy Easter! Thanks Cathy! I hope you have a fabulous Easter as well. Thanks so much. It is such a great twist on egg salad. Thanks! I hope you will love it. I’ve never thought of putting horseradish with eggs. Sound delicious! 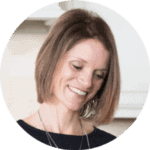 Laura, you will be surprised how much flavor this adds to the egg salad. I’ve never though to add horseradish to egg salad and that looks yummy!! Thanks for the tip. You bet. I hope you love it Jenny! Yea!!! You will love this so much!! I crave egg salad too! Love this twist with horseradish. Can’t wait to try it. Thanks Susan. I hope you love it! I’m not normally a fan of egg salad, but the additions here might just have me tempted to try this! Thanks Caroline! I think you may like this version. YUM!!!! I am totally an egg-salad convert! 🙂 Horseradish in it sounds awesome! Oh I LOVE egg salad and yours sounds so delicious! Love how you used the Greek yogurt, and the horseradish sounds so good in this!!! Thanks Maria! I love it! I had to check this out when I saw it on the Weekend re-Treat party. I have never thought of using Greek yogurt because I do love mayonnaise, honestly it was the roasted tomatoes that lured me in. I use mustard in mine, but I can see horseradish adding some zip to it, pinned for future use. 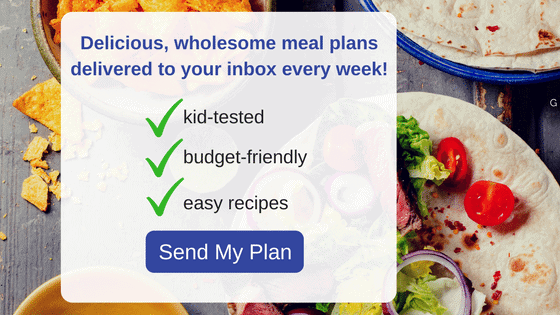 You should share this on Real Food Fridays. Thanks Joyce! The slow roasted tomatoes are a great addition. I will have to stop by your party! This looks like the egg salad for me!! Pinning! I love the idea of putting Greek yogurt in egg salad. You bet Marla. Thanks for sharing! No need to ever make a regular egg salad sandwich, ever! Love the zip horseradish brings in. I hear you–I will never have egg salad without the zip from horseradish–makes it so good. I love that you used yogurt and added horseradish! I love egg salad sandwiches so this is definitely something to make to take to work with me!! !